Iconic London venue Troxy is the first UK venue to install a state-of-the-art new JBL VTX A12 line array system. Troxy may be retro when it comes to the amazing art deco interior, but it is now bristling with new technology having transformed its capability to deliver stunning sound with a new in-house sound JBL system. Full demo’s and testing, along with Harman’s professional, personable approach to the project led to the decision to make a significant investment into the new JBL VTX A12 line-array. 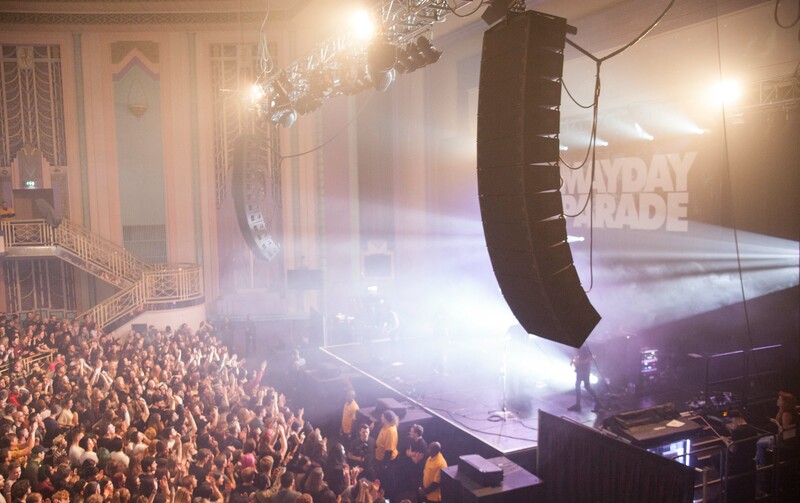 The system was a clear choice to give the best sound to Troxy’s wide range of prestigious live music events, high profile awards ceremonies, corporate events and private parties. It has had its first full uses at a Mayday Parade concert and an Illuminaughty DJ club night, March 2019, where its stunning quality was evident. to 22 Hz @ -10 dB.